Farmer organizations implementing the Medium Term Cooperation Program Phase Two (MTCP2) in Asia and the Pacific gather at the Saigon Hotel in Hanoi, Vietnam on October 20-22 to celebrate gains in the first year of implementation of a trailblazing program to strengthen their capacities to engage in policy dialogues and deliver services to their members, discuss some issues and prepare future plans of action. Such gains, reflected in project reports and noted by a supervisory mission in several countries, include greater involvement by farmers and farmer organizations at all levels in agricultural development programs by government and development agencies through expansion and more inclusiveness of farmers’ platforms established at national, regional and international levels. The first Regional Steering Committee meeting of MTCP2 is being hosted by the Viet Nam Farmer Union (VNFU), which is also the program’s national implementing agency in the country. Around 50 delegates from 12 out of 15 countries participating in MTCP2 are expected to arrive, including Indonesia, Philippines, Cambodia, Laos, Myanmar, Vietnam and China in Southeast and East Asia; India, Nepal, Bangladesh and Sri Lanka in South Asia; and Fiji and Samoa in the Pacific. MTCP2, which is being implemented in 2013-2018, as well as the first phase of MTCP that preceded it in 2009-2013, are among the concrete gains of the series of dialogue and sharing among FOs initiated by IFAD through the Global Farmer’s Forum since 2006 in Rome in recognition of the key role of farmers and farmer organizations in producing food for the world’s population. MTCP2 involves 895 FOs in 15 countries with an estimated membership of 15 million individual farmers. It includes regional farmer organizations such as the Asian Farmers’ Association (AFA) and La Via Campesina, which have joined in a consortium to be the regional implementing agency of the program as well as sub-regional implementing agency in Southeast Asia; the All Nepal Peasant Federations Association (ANPFa) which is the sub-regional implementing agency in South Asia; and the Pacific Island Farmers Organization Network (PIFON), which is the sub-regional implementing agency in the Pacific. 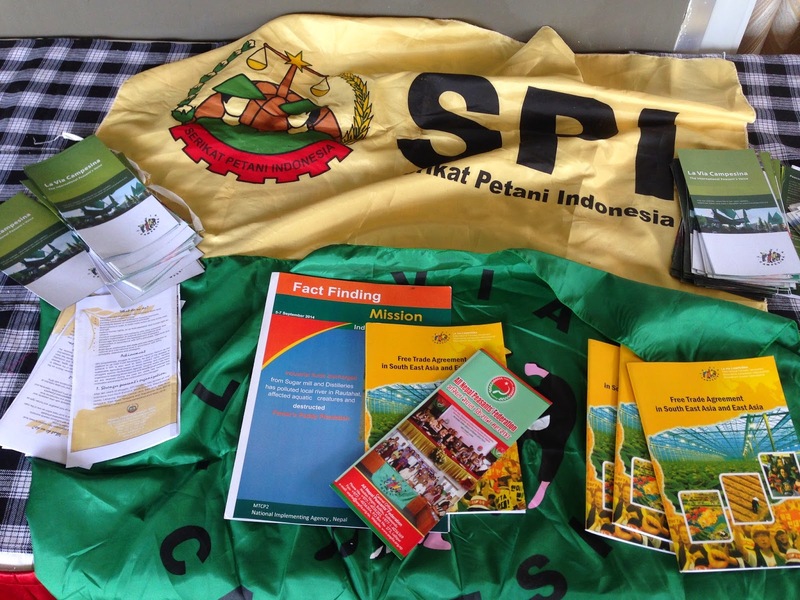 Also coming to the meeting are international development agencies and partners such as the United Nation’s International Fund for Agricultural Development (IFAD), Swiss Agency for Development and Cooperation (SDC), Agricord, Association of Southeast Asian Nations (ASEAN) and the European Union (EU). 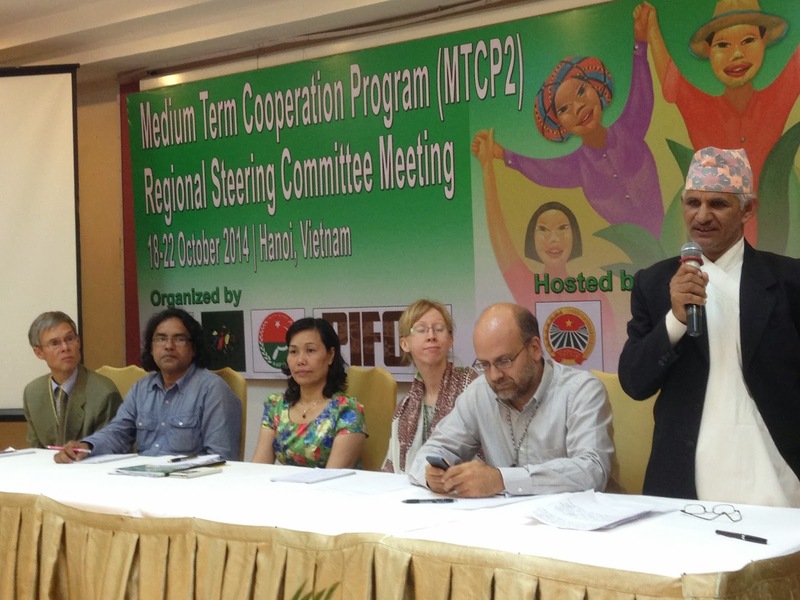 “IFAD is pleased to see tremendous progress in FO strengthening during the first year of MTCP2 implementation. We are confident that family farming will continue developing in Asia and the Pacific and feeding the people and exporting good quality products. With IFAD investments, Swiss and European Union support, we hope new development partners will join this effort in favor of 300 million small farmers” said Thierry Benoit, IFAD Country Manager for Philippines and Cambodia and Task Manager for MTCP2. 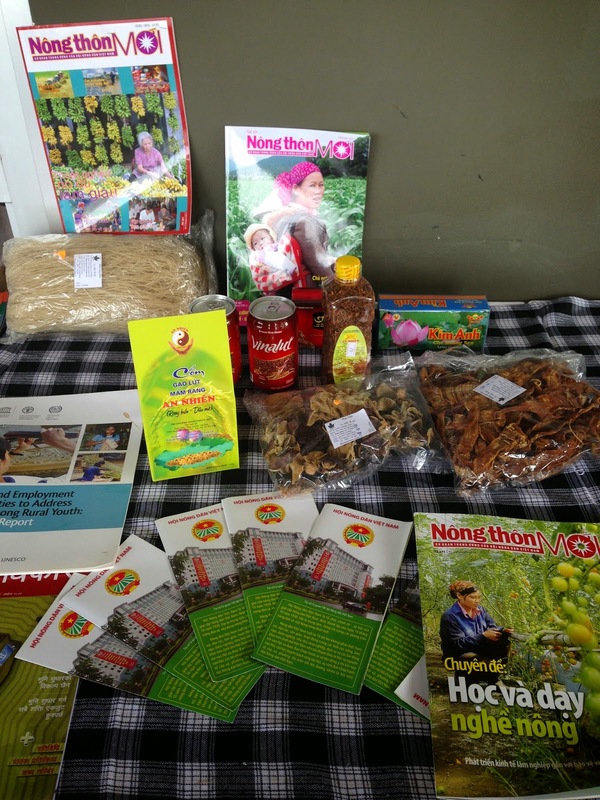 The meeting of famer organizations in Hanoi comes at the heels of the 41st Committee on Food Security meeting of the UN on October 13-18 and the celebration of World Food Day on October 16. In both of these events, smallholder family farmers are recognized as playing key roles in ensuring food security and nutrition and poverty eradication in the world. The meeting also comes a few weeks before the global closing of the 2014 International Year of Family Farming (IYFF) in November. The IYFF celebration this year aims to raise the profile of family farmers and lead to concrete gains in terms of favorable policies and programs from governments. More than 80 per cent of the food produced in the Asia-Pacific region comes from smallholder and family farms. Ironically, they are also the poorest and most food insecure, as a result of centuries of neglect and lack of access to basic resources of production, support services and participation in decision making on agricultural policies affecting them. The 2014 Food Insecurity Report of FAO places the number of hungry people in Southeast Asia and China at around 208.4 million or 8.7% to 21.8 % of the population. For South Asia, the number of hungry people is 225.7 million or 13% to 24 % of the population. And in the Pacific, the number of hungry is under 0.2 million people or under 12.5%. “In the face of growing threat from agribusiness companies espousing biotechnologies such as GMOs that lead to the vanishing of local seeds, as well as large scale commercial farming which is a huge contributor to climate change, there is a big challenge for FOs in MTCP2 to strengthen themselves and to struggle for peasant rights, food sovereignty and family-based agro-ecology that is both health and environment-friendly,” said Zainal Fuat, MTCP2 coordinator for La Via Campesina. The meeting in Hanoi was preceded by a field visit to the tea cooperative in Bac Son commune and the organic vegetable cooperative in Thanh Xuan commune, Soc Son District. The delegates also paid a courtesy visit to the Chairperson of VNFU, where the visiting farmer leaders had a chance to exchange views and share experiences with Vietnamese farmer leaders. As an implementing agency of MTCP, based on the first phase of MTCP, VNFU has actively carried out activities in the second phase of MTCP to help farmers in production, market access and participation in policy formulation. VNFU actively develops projects and programs to cooperate with government agencies, IFAD country program and FAO in realizing development programs in rural areas. Market Fair: presentations of farmers videos, newspaper, publications, ...Prize was a travel for 2 farmers representatives to visit one MTCP2 country and their farmers organisations. 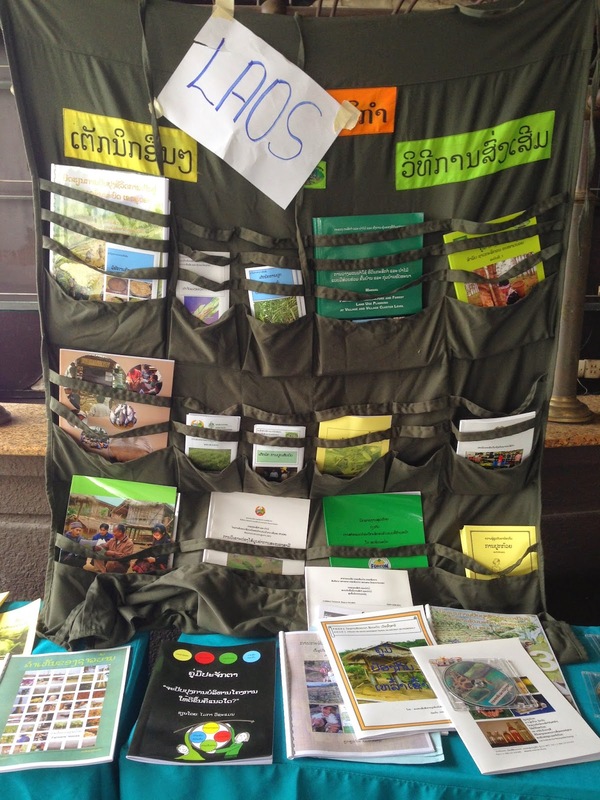 Laos won the prize with the backpack publications kit. 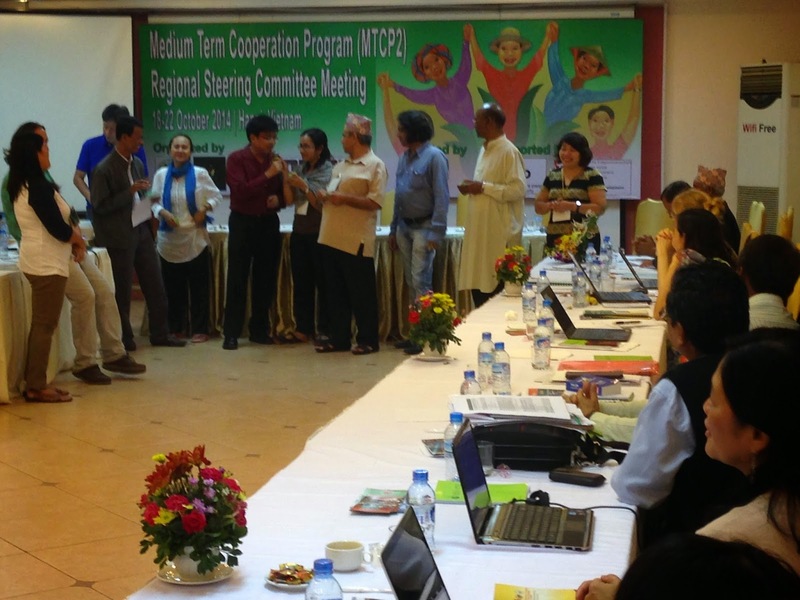 New name for the project adopted: by voting among 08 other proposals ; MTCP2/Asia Pacific Farmers Organisations Forum .